In his new book, Ugliness and Judgment: On Architecture in the Public Eye, Timothy Hyde considers the role of aesthetic judgment—and its concern for ugliness—in architectural debates and their resulting social effects across three centuries of British architectural history. From eighteenth-century ideas about Stonehenge to Prince Charles’s opinions about the National Gallery, he offers a new story of aesthetic judgment, where arguments about architectural ugliness do not pertain solely to buildings or assessments of style, but intrude into other spheres of civil society. Accidental and willful conditions of ugliness—including the gothic revival Houses of Parliament, the brutalist concrete of the South Bank, and the historicist novelty of Number One Poultry—have been debated in parliamentary committees, courtrooms, and public inquiries; architects such as Christopher Wren, John Soane, James Stirling, and Ludwig Mies van der Rohe have been summoned by tribunals of aesthetic judgment. By examining these events and the architects and architecture that precipitated them, it is possible to discern a refracted instrumentality that lies not in buildings themselves, but in the social techniques and protocols that emerge from the processes of aesthetic judgment that encompass those buildings. With novel scrutiny, Hyde shows how aesthetic judgments have become entangled in wider assessments of art, science, religion, political economy, and the state. Moving beyond superficialities of taste in order to see how architectural improprieties enable architecture to participate in social transformations, Ugliness and Judgment aims to shed new light on the role of aesthetic measurement in our world. Timothy Hyde is associate professor in the history and theory of architecture at MIT. His research focuses on political dimensions of architecture from the eighteenth century to the present, with a particular attention to relationships of architecture and law. 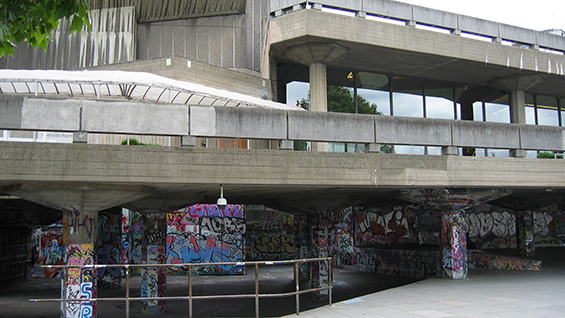 His most recent book Ugliness and Judgment: On Architecture in the Public Eye (Princeton University Press, 2019) explores episodes in aesthetic debates on architecture and ugliness in Great Britain over the past three centuries and reveals the ways in which architectural discourse participated in the legal formulations of social techniques of the modern city. He is also the author of Constitutional Modernism: Architecture and Civil Society in Cuba, 1933-1959 (University of Minnesota Press, 2012) which examines the entanglements of architecture, planning, and law in the years leading up to and following from the promulgation of a new Cuban constitution in 1940. Hyde is a founding member of the Aggregate Architectural History Collaborative and is one of the editors of the first Aggregate book, Governing by Design. Hyde’s writings have also appeared in journals such as Log, El Croquis, The Journal of Architecture, the Journal of Architectural Education, arq: Architecture Research Quarterly, and Thresholds. The lecture is followed by a book-signing of Ugliness and Judgment: On Architecture in the Public Eye. Copies of the book will be available for sale on site. This event is free and open to the public. RSVP is required and seating is limited. Room 315F. View the full 2019 Spring Lectures and Events List.